SAN DIEGO – Calif. The San Diego Rebellion announced their intention to sign with the newly formed Women’s National Football Conference (WNFC) on August 31, 2018. Launched on August 27th the WNFC was founded by women’s football pioneer Odessa Jenkins. She is joined at the executive level by a team of former female NFL coaches and proven business, marketing, and sales professionals. With this move the San Diego Rebellion becomes one of the WNFC’s inaugural teams. The WNFC raises the standard for football and business operations in the world of women’s football, closely aligning to the Rebellion’s founding beliefs. 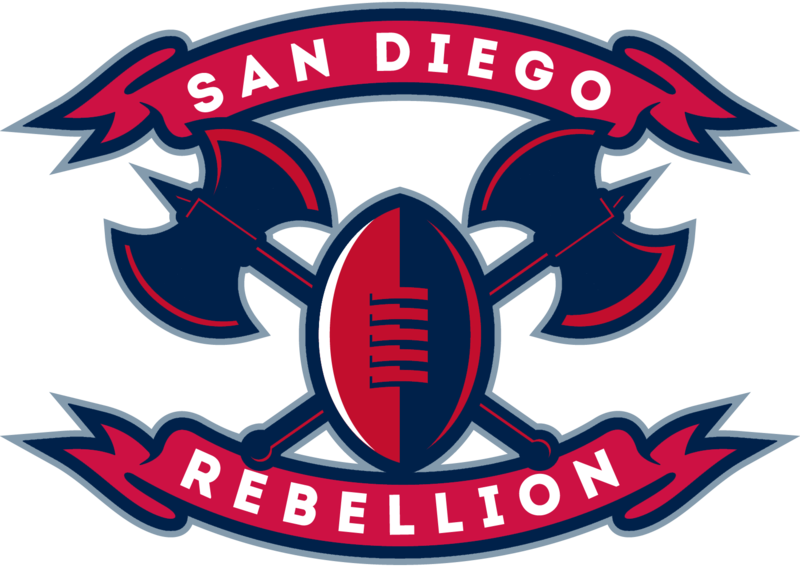 The San Diego Rebellion was founded by women’s football veterans Knengi Martin and Katie Ott in 2017. The Rebellion leverages Martin’s vast football experience, and Ott’s business background to create a strong organization. At the heart of The Rebellion organization is the belief that greatness happens when you rebel against expectations and consistently work towards a shared goal. Reflecting that creed, the Rebellion is a mix of veteran players, former high school athletes, collegiate athletes, and women that defied traditional youth sports to participate in Pop Warner and high school football programs. The San Diego Rebellion are starting their inaugural season in the Women’s Football Alliance (WFA) as a Division II team. Founded by women’s football veterans Knengi Martin and Katie Ott, The Rebellion will use Martin's knowledge from 16 years of women’s football, three gold medals representing USA Football, and 10 years of coaching high school football, to spearhead football operations. Katie Ott, a seven-year veteran and a 2017 gold medalist, will leverage over 15 years of global business experience at Hewlett Packard and ServiceNow to oversee business operations. All interested athletes and coaches can participate in weekly offseason workouts at 9:30 a.m. on Sundays at Orange Glen High School in Escondido. All are welcome, no experience necessary. Knengi and Katie have a combined 23 years of football experience. Their goal is to create a fun competitive organization where women can learn and excel at football in pursuit of a National Championship. Join the Rebellion for a free workout, Sunday mornings. No experience necessary, all fitness levels welcome. Contact us if you are interested.